An excellent article as usual. In my opinion, the greatest enemy in this fight for truth is the growing cowardice of the American people. So few have the courage to take a stand no matter the consequences. In an age where anyone who helps an old lady to cross the street is declared a National 'hero', there are actually less and less true heroes in our midst. Many Americans are easily mislead by the Media and seem to have more faith in the State than they do in God. I'm so glad I read this. The implications are truly staggering, and frightening! This is so sad. But it’s already influenced so many. It's a sad day, indeed; I've lived too long when I see the blatant censorship of TRUTH by gov't and NGO agencies, because they don't LIKE the what the truth has to say. It's here, and everywhere. We can't have an honest conversation about ANY issues, vaccine injuries are just 1 symptom of a MASSIVE national problem; silencing all "dissent" to the narrative that certain factions want pushed! Is there a good list somewhere of articles to print and books to have hard copies of on vaccines and accurate vaccine science? This website has always proven to be reputable and well-researched, and should not be censored. Clearly, the right to refuse any vaccination is protected by the First Amendment. Frankly I'm surprised no individual or organization has pursued this avenue of recourse when others try to deny that right. A First Amendment case involving vaccine refusal would likely wind up in the Supreme Court. Ironically, the ultra-conservatives on the bench are also strict constitutionalists who I believe would protect the right of refusal as free speech under the First Amendment. The nurse who was fired for refusing a flu shot would be a textbook test case should she want to go forward. Hopefully, a Democrat-controlled Congress will restore net neutrality legislatively and soon. and for speaking for those harmed by them. Vital vaccine information is needed to be able to make an informed decision. Although generally vaccines may be beneficial for some, for others it can be harmful and cause lifelong handicap[s] or death. With no test[s] to determine who will be hurt by vaccines, it's almost impossible to know who is most at risk...until damage is done which may be irreversible. I appreciate the concern for how we will get information now and in the future! It was only a matter of time before such censorship would begin. Thank you, NVIC for sharing this important development. We all have a right to informed consent. Wanting people to blindly obey is what autocracies are about. All I can say is that although I'm not surprised, I feel dismayed. NVIC is one of the very few sites that I trust 100%. Short of rioting, what can we do to reverse the censorship decision? First hand experience here as Pinterest deleted my health board filled with alternative medicine information as well as the truth about vaccines with five years worth of links to peer reviewed articles and other info. They did it supposedly did it to concerns about self-harm. We all ought to be standing up to this NOW. Hi Natalie, please try again, we believe it is functioning fine now. I agree with everything you said. Well spoken as usual. Thank you for sharing this article. It does appear that Wall Street is running the Internet. Does Capitalism have ethics and morals? You are correct. The entire internet is the problematic filter through which society has been processed without its express and informed consent. It was not "uncensored" as you say, from the beginning, however. It has always been covertly censored. First they do it, then they justify it. Terrorism was used to justify the fusion centers through which all internet traffic is monitored, recorded, censored, and by advanced methods, even ALTERED in real time. It was not hijacked by Wall Street. That is a facade. It was hijacked from the beginning by the whole polyglot of "archons" who seek total control of the Spirit by programming the body and soul by deception and coercion. The same evil will which wiped out the brilliant work of Rife in medicine, have done the same for Truth in general, by creating a monopolized conduit of social interaction which they have covertly dominated while using, simultaneously, false and disingenuous excuses, pretenses and pretexts to justify the same in a stepwise manner. They have also constructed this system to augment other operations of social control/engineering, known as a Full Spectrum Dominance approach involving Asymmetrical Warfare methods, especially INFORMATION OPERATIONS. The internet is a critical linchpin in their system, involving surveillance, phishing schemes, opinion manipulation, multilayered and multitiered hierarchical parallel control over all conventional transactions taking place upon it (as if a parallel entity entirely, like a totally foreign and alien entity viz the American People). Even the "Mandela Effect" is a psyop intended to falsely justify memory-holing information, which is the mechanism you have covered in your excellent presentation. STOP searching using #Giggle #Bong #FakeBooBies and start using Duck Duck Go, there are also other options MeWe is Facebook (#FakeBooBies). Also try using the waybackmachine and SAVE the files you find, Images and everything so that you can re-create article in more "model Matrix" world we are living in a Corporatocracy ruled by the elite 1% which own 95% of the wealth of the world on this planet. Why it is so imperative to get off planet and settle amoung the stars...ASAP. An interesting phenomenon that I usually encounter when discussing the pros and cons of vaccines, is the emotional rantings that ensue from the pro side of the matter. Ordinarily, my most stated complaint about text on the internet is that is is, for the most part, bereft of nuance. That is to say, the inflection of voice, or the body language of being up close and personal. Which is why I find it so amazing that once I'm engaged with the advocates of vaccination, once the discussion begins to turn southward (as can be expected in nearly ANY discussion presently about vaccinations as any digression from a 'hoo-RAY!!!!' from the pro vaccine side simply is NOT tolerated), there have been times that I can actually FEEL the quivering in their voice(s) as they are just that agitated. And that aspect alone is what is so disturbing about the issue. It's as though these people are petrified that if they question the orthodoxy here, they will inevitably end up questioning ALL their beliefs, and who the hell wants to go back to square A, really? For me, the best time to put a halt to things ill advised, and previous unjustified prejudices, is in the HERE, in the NOW, my feelings be damned. Robert Williams best advice. Everything I can't find on Google I find easily on duckduckgo. Since every news story and every public health agency constantly pushes the idea of vaccines as the savior of mankind, I wondered what would happen if I did a Google search for "vaccines". Out of the first 100 results, 87 were pro-vaccine, 5 were anti-vaccine, and 8 were neutral. 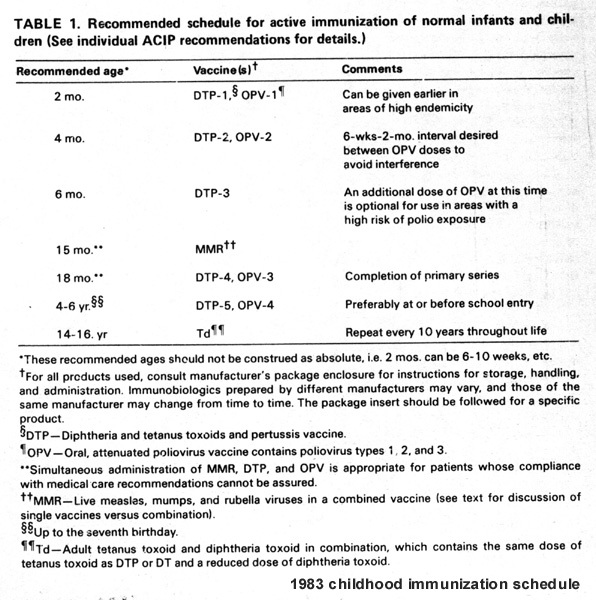 In addition, among the books and advertisements, the pro-vaccine outnumbered the anti-vaccine 2-to-1. And none (absolutely zero, on page after page of Google search results) of the news stories were anti-vaccine. *VAERS comes up as the #11 result. That means someone who only looks at the first page of (10) results (like most people) would never see this. Interesting read, a lot I hadn't heard or read before. REALLY concerned about this, I listened to an NPR report today, an interview with the thought police from Pinterest...it's outrageous that they have decided they are the purveyors of all truth, and that they can use that basis to ELIMINATE vaccine information that is not to their liking. If Google, Bing, Yahoo and others start doing this, it's the beginning of the end of FREE SPEECH. America is a land of very ignorant people, dominated by a plutocracy of controlling financial interests increasingly squeezing any freedom from our clutches. I want to thank all of you who run this site for all your efforts and research and for maintaining such dignity in what is an extremely emotive and confusing subject area. There are some good alternatives for sites and programs that don't censor. I've been using MeWe more and more instead of Facebook, and I've started saving pages on Juxtapost and Pearltrees instead of Pinterest. I've been using DuckDuckGo for a search engine and there are some free non-google email sites like protonmail. It would be great to see a round-up of non-censoring web sites here in the future.